Keep Wasps Away with Better Window Screens - Longhorn - Screens. Shades. Shutters. Protect your open windows with tightly knit screens. Good circulation is the best way to keep your home cool. Even autumn afternoons can be stifling without a cross breeze. But open windows are an invitation for flying pests. If your window screens have tears or even loose edging near the frame, wasps can crawl inside and start to buzz around. The fall is one of the most dangerous seasons for wasp invasions because they are looking for the best nest locations for their queens to outlast winter. They also aren’t as solitary as they are in the spring, and one wasp could mean several. Use the installation to check for other gaps and drafts. The temperature and rainfall changes from summer to autumn mean your foundation might be settling. This can cause everything from slight gaps in the window’s sealant to large holes between the frame and the exterior. Find a company that specializes in a wide range of window treatments so they can alert you to gaps, cracks, and other problems in your window. Even small openings are an invitation that needs to be fixed immediately. 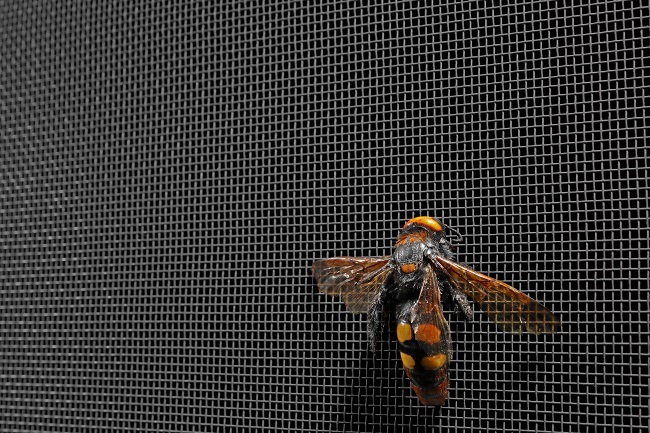 Insect screens obscure movements and colors that could attract wasps. Different species are attracted by different factors. Some stay away from large movements, while others become aggressive when they sense movement in their territory. Bright colors also attract attention. Insect screens, especially with a tightly knit mesh, make interior movements and colors less visible. Whether your windows need their first set of insect screens or you have a few windows that need replacements, go to Longhorn Solar Screens. We can get your windows ready for the rest of fall and beyond.